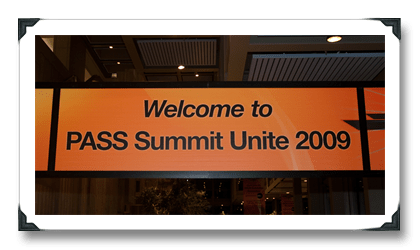 I had a wonderful time at the PASS Summit. As I blogged about here I chose a different approach to the summit to try and capture more of the people and carrying my camera all the time with me. On Sunday I took about 700 Pictures while out on the Olympic peninsula this was a family Photo shoot I was doing for some good friends of mine. I was also enjoying the beautiful scenery out on the Peninsula something I will hopefully be able to do again soon. Mon-Friday About 900 pictures total. Just short of 1000K. I’ll have to make sure to up that number next year. Here is a link to all my pictures via Flickr and Facebook. No not all 900+ made the cut. The dedicated PASS Photowalk group on Flickr. @SqLAgentMan (Tim Ford) Photowalk set on Flickr. @NoDNS (Kris) pictures from the Photowalk on Flickr. I have seen many more on Facebook but I don’t have public links to them. If anyone would like to post in the comments I’ll be more than happy to add it to the list.